At Vision Travel, we manage an average of over 100,000 individual business travellers every year allowing us to draw key insights on upcoming business travel trends. Based upon feedback from many of them, we've put together five key trends road warriors may expect to see this year. At Vision Travel, we manage an average of over 100,000 individual business travellers every year allowing us to draw key insights on upcoming business travel trends. Based upon feedback from many of them, we've put together eight key trends road warriors may expect to see this year. Newer, lighter and faster airplanes paired with new routes means international travel growth will be flying at an all-time high in the coming year. Before the close of the decade we will see a major technologically advanced launch, the Airbus A350, expected to roll out commercially next year. This ultra-long range aircraft not only opens up new ultra-long haul routes (it can fly up to 19 hours straight), it also opens up new shorter haul routes because it makes it cheaper for airlines to fly them. Both Air Canada and WestJet have opened up new longer haul routes -- from direct flights to Korea to about a dozen new cities in Europe, and Canadian businesses are benefiting from this access to new trade and export lines beyond North America. However, the flow goes both ways. We are also seeing business travellers, predominantly from the conference and meetings groups from traditionally long-haul markets like China, come into Canada to conduct business. Toronto is the fourth largest city in North America and continues to grow year on year. Canada's largest airline, Air Canada, is now focused on establishing Toronto as a super hub for international travel. They have indicated that they may be looking at expanding Pearson International Airport. Part of the expansion could even involve building an additional international terminal in the foreseeable future. With advancements in technology, the travel experience has never been more seamless. Travellers can research, plan, book and report their activities all on mobile, and travel managers can dive into detailed reports like they never have before. 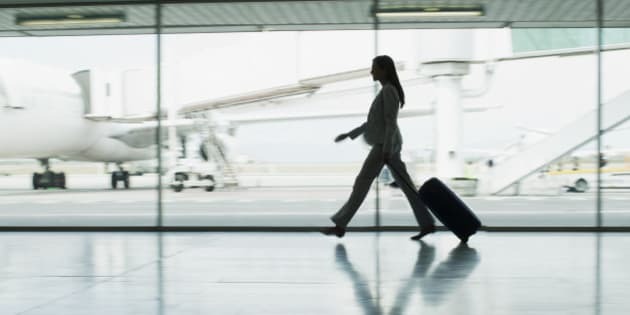 All this technology is making business travel more efficient, but interestingly, it is also driving travellers to seek more personalized service, creating more demand for the expertise of travel management companies. With the recent global financial crisis, companies are becoming more frugal when it comes to allocated travel budget. This year we will see corporate travel managers choosing the lowest possible airfare, fewer hotel room upgrades and capped spending on per diem allowances. Innovative payment technologies such as the prepaid CSI globalVCard, a single-use electronic payment credit card, is helping Canadian corporate travel managers across the country set parameters and keep employees well within their spending allowances. Furthermore, these single use credit cards will facilitate payment for millennials, the largest growing demographic to enter the workforce, many of which do not already carry credit. In light of recent global events, traveller security is high on the radar and companies are reviewing Duty of Care policies to ensure that any potential gaps are addressed. Companies will also be stricter in implementing travel policies, from booking with approved vendors to establishing protocols to mitigate any potential risks when travelling to high-risk destinations, or engaging with "new entrant" vendors that are classified as non-traditional. Millennial business travellers are changing the travel industry every day. As early adopters of social media and mobile app technology, they are putting the pressure on companies to become more digitalized in everything from hotel travel apps to on-demand car service. The app industry is growing at a rapid pace and we can expect to see more travel related apps coming out of woodwork over the next year. We see a growing foodies trend across Canada. In addition to a serious interest in what ends up on their plate, foodies are constantly looking for new culinary experiences. Business travellers like most clientele have adopted the foodie trend and the hospitality industry is responding quickly! Hotel restaurants are adapting their offer, often including locally sourced ingredients that are sustainably produced. An increasing number of travellers are focused on maintaining their health-conscious lifestyles while on the road. Hotels are responding with programs, new menus, amenities and services like gyms, yoga classes, or even providing workout gear to guests. Furthermore, hotels are now taking measures to respond to the growing health focus of their guests. For example, some hotels are equipping their suites with air purification devices to ensure that guests with allergies and asthma breathe more easily.